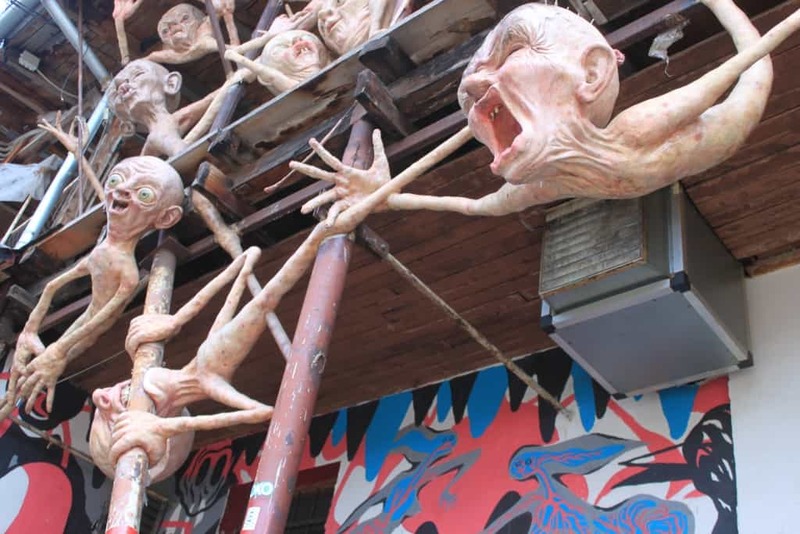 For 100 years, the thick-stoned building on Metelkova Street was known as the political prison in Ljubljana; an imposing hell designed to imprison people according to different opinions and believes. 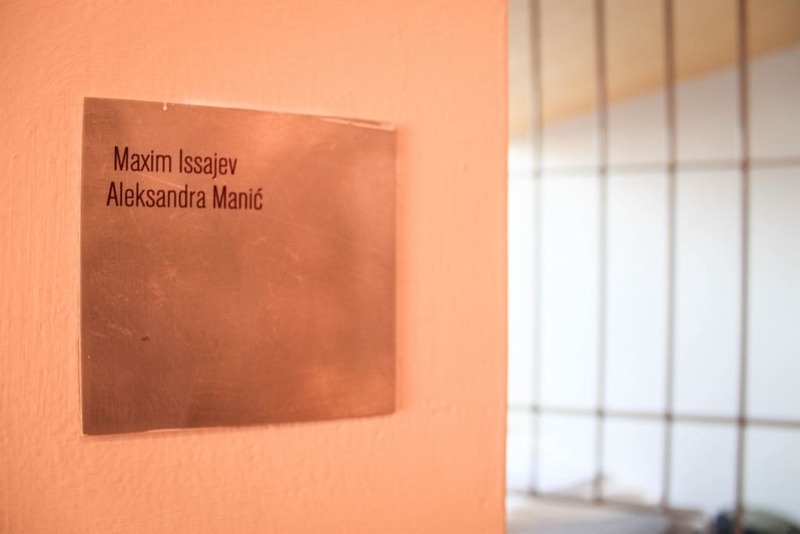 The prison shows a darker side of Ljubljana’s history, but it has grown into a social center and a melting pot of art, culture and positive vibes. It has transformed into a hostel. What’s the coolest hostel or hotel you’ve stayed at? 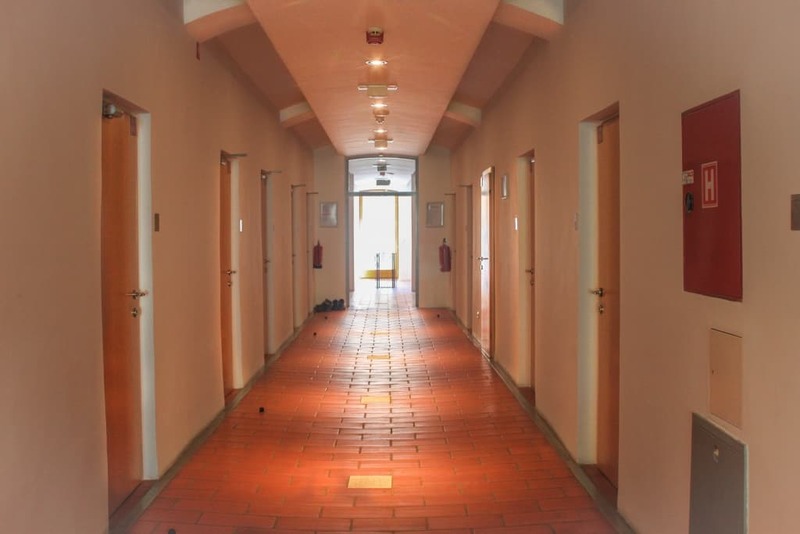 Celica hostel was my first stop in the Balkans and I was more than excited to spend a night in an old Yugoslavian prison. 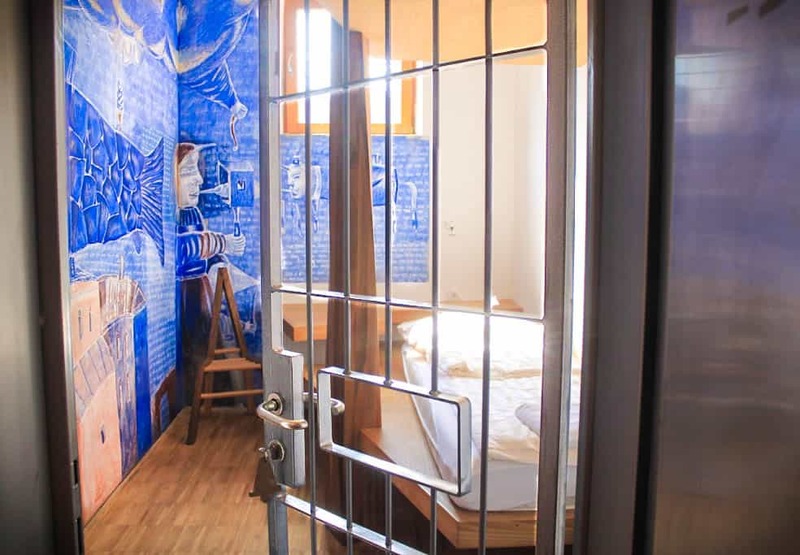 I’ve stayed in alternative hostels before, but this one – a former prison – it HAD to be the coolest one so far. At least Lonely Planet think so because they’ve named it the number 1 hippest hostel in the world. 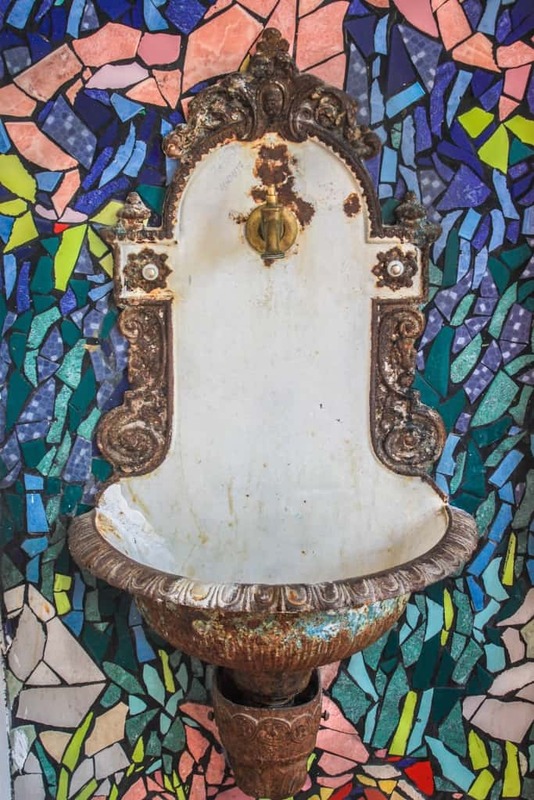 The prison features 20 cells that have been redesigned by 80 local and international artists. Each cell has its own design and story to tell, but they all have one essential feature in common: prison bars on windows and doors. I stayed in cell 107, which is a russian cell. 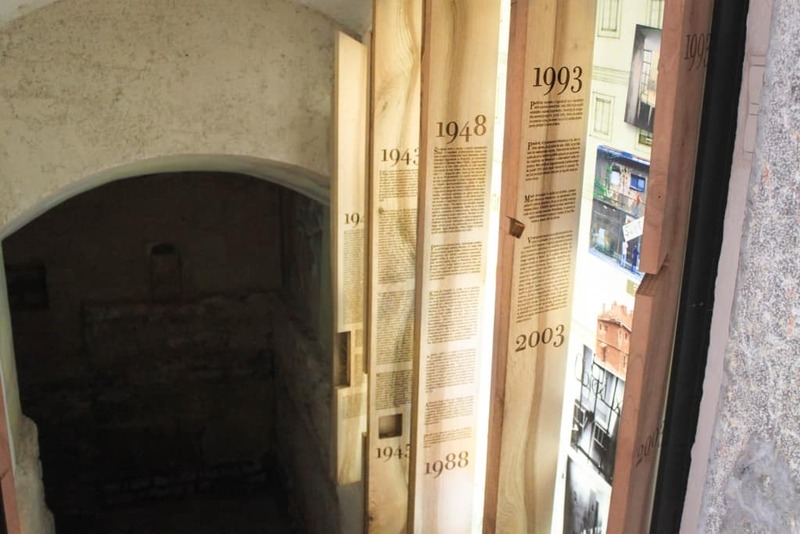 The wall was painted blue with little crosses that represents how many days the prisoner had been incarcerated. One of the things I really liked about Celica hostel is how – ironically – it feels like a home. Everything about the hostel is created with a goal of inclusivity in mind and I felt it straight away when I arrived. The design is bright and colorful, the atmosphere is inviting and lively, and the staff is like the friendliest, ever. You might think that the building would feel haunted or have a bad vibe, but this is not the case at all. On the contrary, everyone is happy and there’s a welcoming atmosphere. During the day, people hang out in the dining area or in the garden, which is also a popular place after dark. The hostel often hosts events such as concerts, cultural happenings, BBQ and cocktail night. The events are free for hostel guests, and visitors have to pay a small entrance fee. 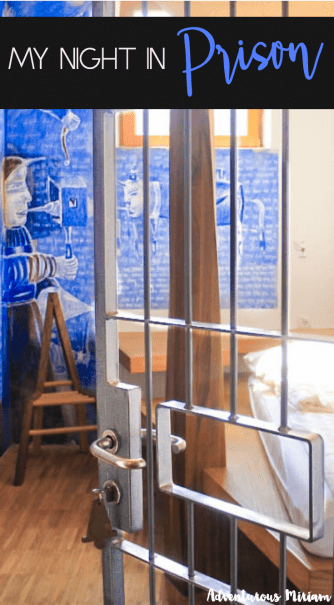 One of the fascinating aspects of Celica hostel is the Point of Peace; a former cell that has been converted into a prayer and meditation room. It has alters for the five major world religions, and an empty one for any other religion or for those who aren’t religious. 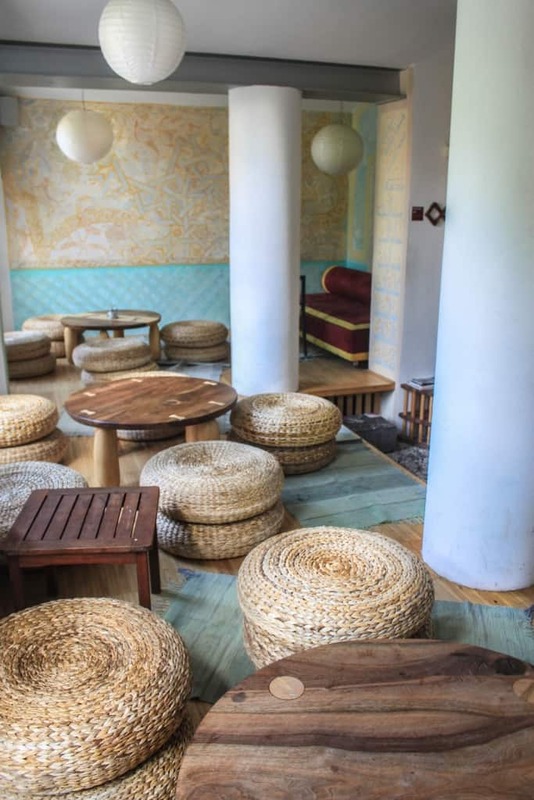 The hostel created this tranquil space to ensure that no one ever feels alienated here again. As I walked through the first floor, I suddenly found myself entering an art gallery with contemporary art exhibitions. It’s open all day, and workshops, cultural events, seminars and debates often takes place here. In the basement, there are two untouched former solitary confinement cells. It only took me a few seconds to find out that there is no natural lightning downstairs, but with my flashlight I could see the prisoners’ inscriptions on the wall. A great thing about Celica is the location. 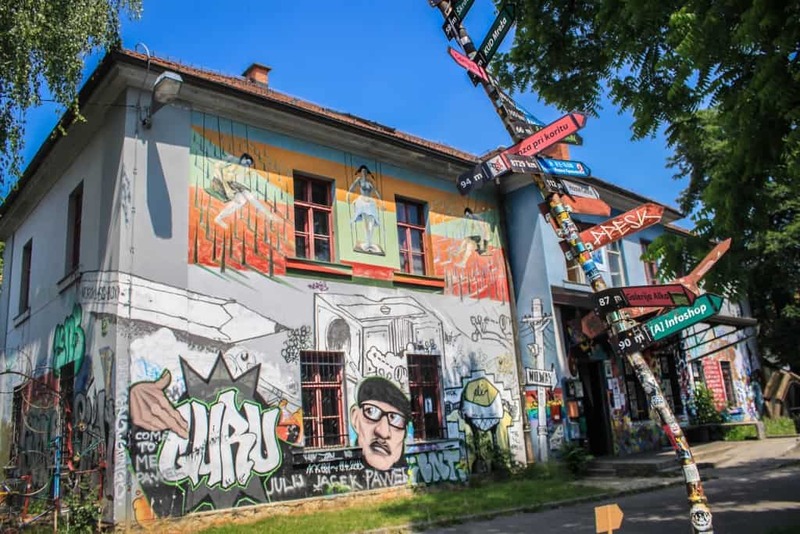 Not only is it located in Metelkova, which is the coolest place in Ljubljana. 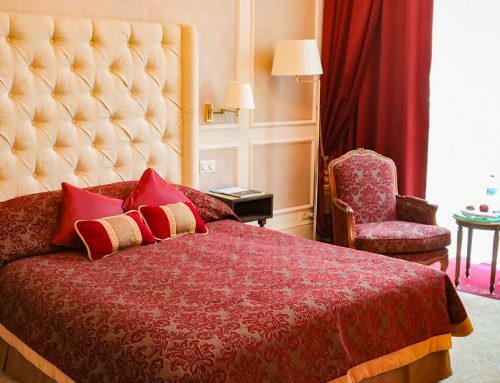 It is also only 10 minutes walk from the city center and from the bus & train station. 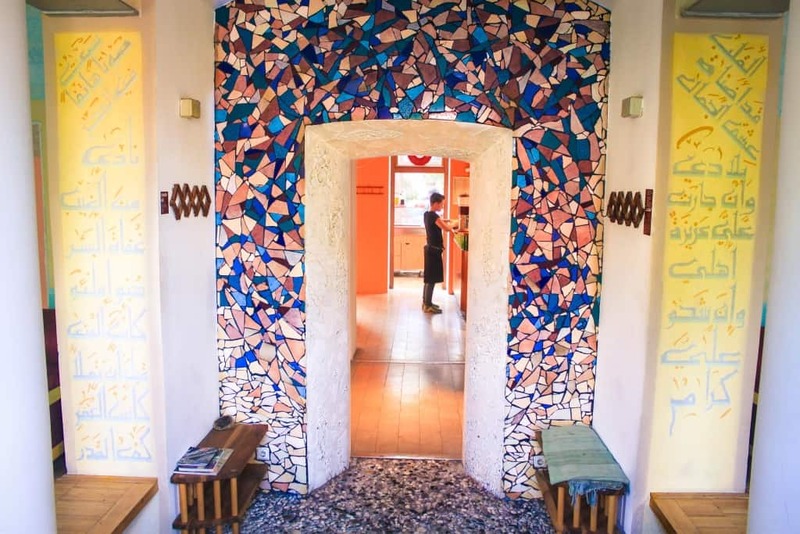 Celica hostel is not your typical youth hostel; it’s a historic hostel that offers you a unique experience with a surrounding art scene both inside and outside the building. That, and it’s genuinely homely and welcoming. Personally, this is the coolest and most memorable place I’ve stayed. 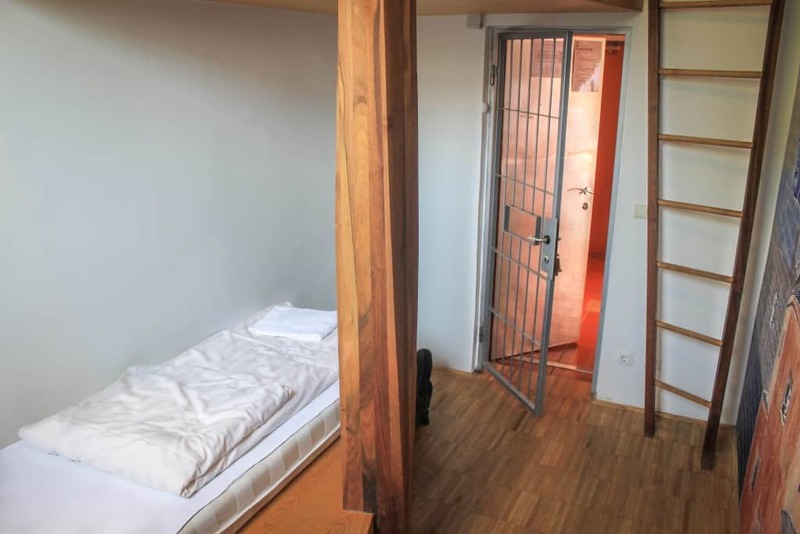 I mean, in how many hostels can you spend a night behind bars? Many thanks to Celica Hostel for generously hosting me and welcoming me to Ljubljana. As always, all opinions and thoughts are my own. This looks so very colorfully wonderful! It must have been a wonderful experience! Thanks Rajiv, it’s BY FAR the coolest hostel I’ve stayed at. I loved the history, atmosphere and design. Highly recommend it if you’re ever in Slovenia. Just to set the record straight, this was not really a prison for political prisoners. While young men served in the army, they could end up in there for transgressions like being drunk, getting into a fight or something like that. Hi Janez, I’ve only heard it referenced as a military prison, so thanks for adding the information! 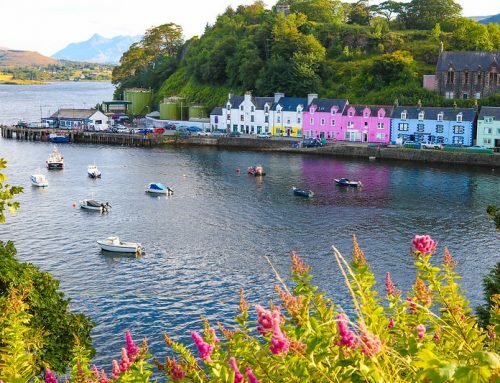 Now you have a reason to go back 🙂 It’s definitely worth the trip. What a cosy cell! 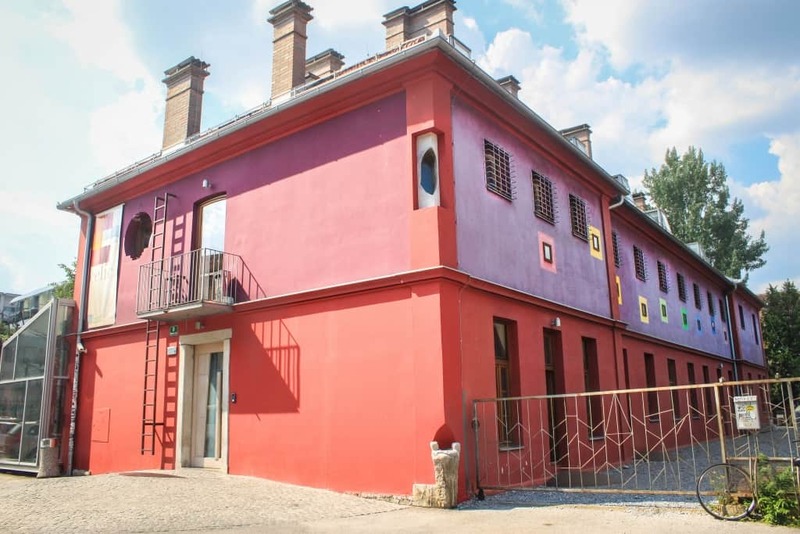 We are planning to visit Ljubljana early next year but were looking at AirB&B places; perhaps we’ll give this hostel a go instead, it looks lovely. 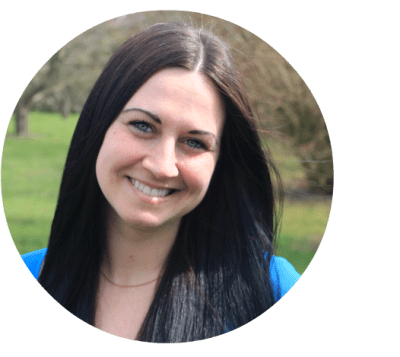 Definitely go here, Amy! It’s such a memorable experience with lots of history. I highly recommend. Definitely a hostel with a difference! It looks so welcoming and friendly, and nothing like a former prison! Apart from the bars, of course…. :). One to consider if I ever make it back to Slovenia :). It looks just awesome! 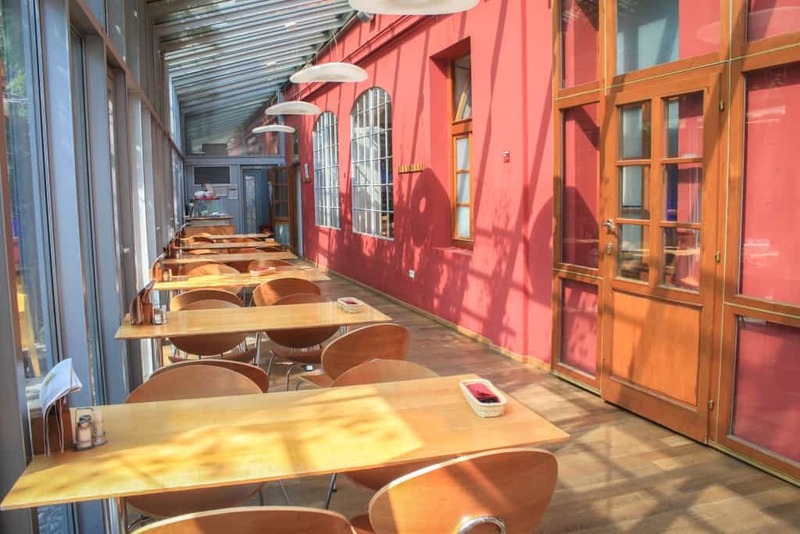 I also stayed in a converted prison turned hostel in Christchurch, New Zealand, and I recently visited the abandoned Patarei Prison in Estonia, so that sounds like a good follow-up for me… I’m really impressed at how great they’ve made it look! How cool! Would love to visit the prison in Estonia – I bet it has lots of history. 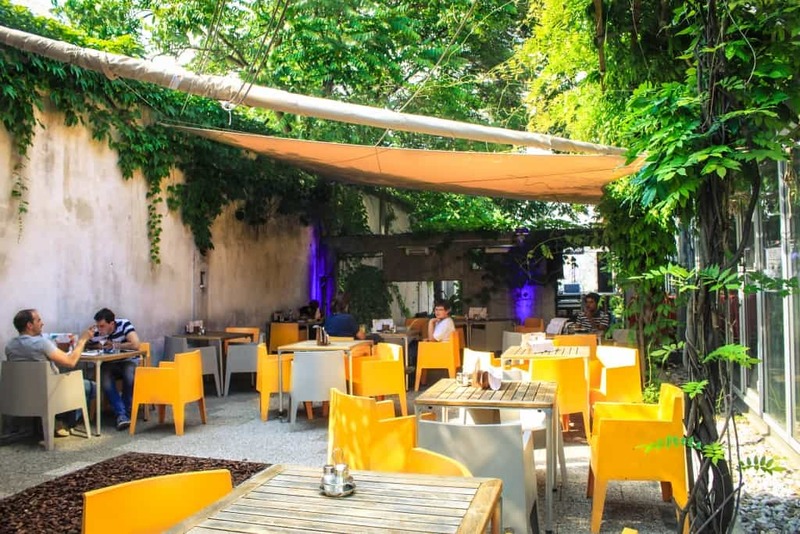 If you ever find yourself in Ljubljana, I highly recommend spending a night at Celica hostel. I think you’ll like it! I was really surprised by how cosy it was. It felt nothing like an old prison and there were no bad vibes at all. They have done a great job transforming it into a postive place. This looks so good! I had never heard of this place before. I hope to visit it someday! Thanks for commenting, Tania. It’s definitely worth a visit if you’re in the area! What an arresting story! Thanks for sharing — that had to be a truly unique experience. Myriam this is SO cool! I am heading to Ljubliana in two weeks so i won’t miss that for nothing! Oh, you’ll love Ljubljana! It’s SUCH a lovely town and so is Celica. The people there are super nice. Thanks for this awesome post and nice photographs they are really very cool.. Great article. 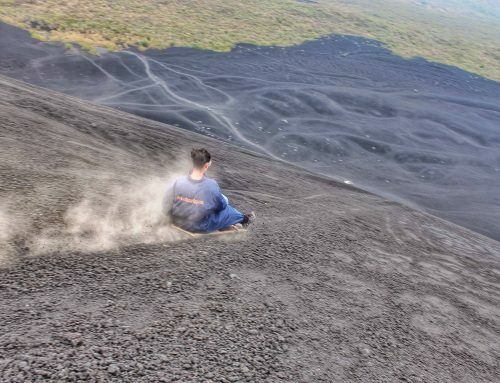 Looks like a great place to enjoy there.